A few days ago, I saw this interesting status message on the FB wall of my friend, It all boils down to one thing ” How badly do want some thing in your life ?” Yes, a lot of stuff in our life depends on how badly we want certain things isn’t it? Most of us have an inkling or an interest for certain things, but then only few of us, very few people amongst us make the necessary sacrifices and give it all it takes. This one passion and this one mad love for a profession would change the face of their lives and would propel them into the league of extraordinary men and women. 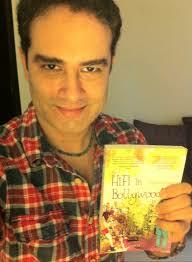 One such person is Rayhan Arora, the protagonist in Rishi Vohra’s “HiFi in Bollywood”. Here is what the back cover of the book says. “Rayhan Arora’s long cherished dream is to be a filmmaker in the Hindi Film Industry but his formidable father has other plans… a successful financial career in Corporate America, and a marriage of convenience with Vanita, a medical student in the US. In a final act of desperation, Rayhan abandons his promising life in California and secretly returns to Mumbai to work as an Assistant Director in Bollywood. The characters he encounters along the way become part of his journey of self-discovery – a self-proclaimed local goon with a penchant for acting; a powerful local politician who wants to marry Rayhan’s part-time domestic help, who in turn covets stardom; an angst-ridden, homosexual film director; ego-ridden film stars with twisted agendas; and the mysterious Viola who captures his heart. Rayhan has only one desire, to make films in bollywood. His desire is so strong that he sees the same even in his dreams. As it happens with most parents who belong to the great Indian middle class, his father is more concerned about securing Rayhan’s future than anything else and sends him to the USA for a better life. Having completed the degree his father wanted him to complete, the 23 year old Rayhan has got a choice to make, he can either live by the whims and fancies of his father or he can start an adventure of his own. His choice is not a difficult guess, but what he does after he makes his choice is something worth reading. This is one of the fastest reads for me in a long period of time. Very simple language, a fast paced story, very nice characterization and reading about bollywood, a combination that is very very tough to resist isn’t it ? I simply loved it. The author has knowledge on the workings of Bollywood and that comes out very well in the book. Then we have the vivid imagery that the author uses, I liked it . When he describes a set , a story or an incident, he brings it to life with his descriptive words and I am sure the readers would enjoy it. 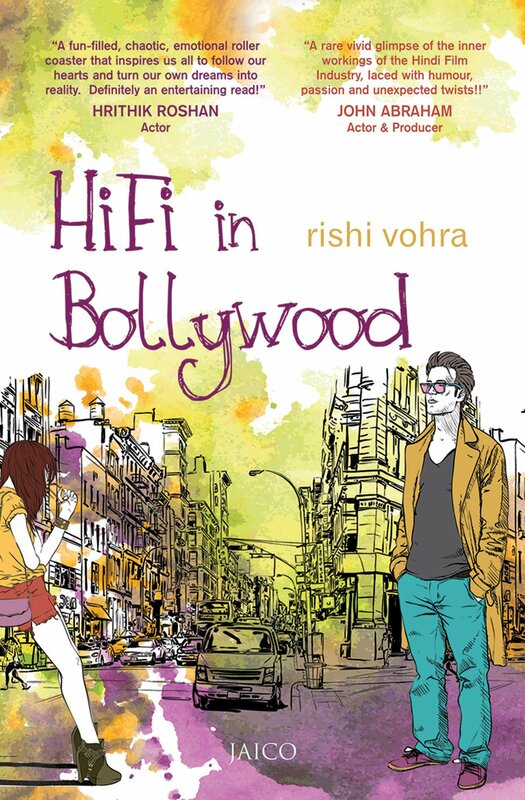 The moment you know that the title is “Hifi in Bollywood”, you would be curious to know about the meaning of the title and its significance right, hold your horses and read the book , you would have your answers. Having read Once upon the Tracks of Mumbai before, I would say that Rishi vohra ji has done a better job this time. He ensures that the pace of the story is good right from the beginning and makes sure that this one is a page turner. This book has 3 key female characters and each of them were sketched very well. I would not talk much about the female lead , lest I may spill the beans. Coming to the areas that I thought could have been improved. 1. The plot becomes predictable and to me that is not a good sign. I felt that the author could have added a twist or two and made the ending of the book less predictable. 2. At times you get a feeling that the story is a little shallow, I think the author could have added a little more detail on the film industry by portraying the living conditions of the spot boys, the assistants etc. The author makes an indirect but fervent appeal to all of us to go by what our heart says and turn our passion in to our profession. He asks us to define our definition of success and asks us to strive for it. He shows that the world that mocked us before will slowly fall in place. That’s the biggest takeaway of the book. Do read the book, you would enjoy it.